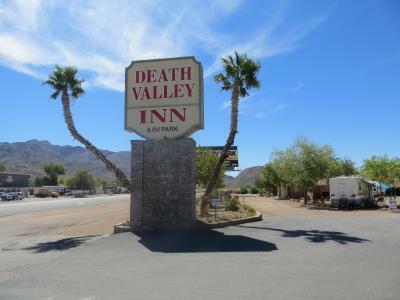 Lock in a great price for Death Valley Inn & RV Park – rated 8.2 by recent guests! The motel is beautiful from the outside, an oasis in the desert with lots of greenery and flowers. The room was comfortable, spacious, and clean. Good lighting by the mirrors, comfortable seating, and good storage furniture. We enjoyed our stay here! The rooms are really beautiful and newly updated & renovated. The two rooms that my family occupied are very modern. They did an excellent job on the room renovation. 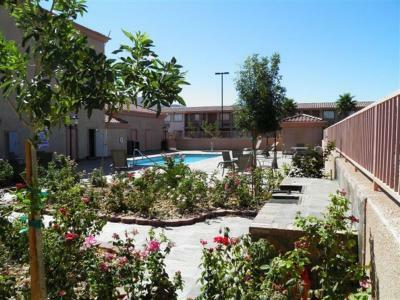 Very comfortable bed, good Wifi, a friendly resident cat, clean pool and hot tub, all necessary amenities. Plus they were very helpful in fixing the error made by Booking.com. Staff was very friendly and efficient. We arrived early, but the room was already. Parking was adequate and secure. Room was good size and well laid out. It was clean and neat. We ate at the Sourdough Saloon in Beatty. While it was a slice of life experience, it was filthy and the food, ribs and hamburger, was not edible due to smell and fear of getting sick. The hotel on the other day was spotless and delightful. Room was clean and comfortable. Pool and spa available. Clean and updated rooms, quick check-in and out, friendly staff. Hot tub was great after a long day of hiking. 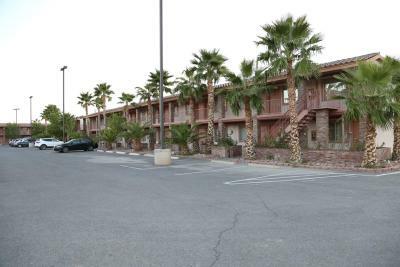 Conveniently located near Death Valley National Park and walking distance to all the food options in Beatty. Death Valley Inn & RV Park This rating is a reflection of how the property compares to the industry standard when it comes to price, facilities and services available. It's based on a self-evaluation by the property. Use this rating to help choose your stay! 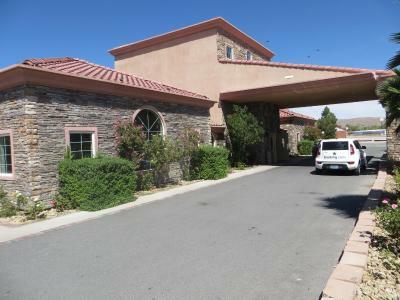 Located in Beatty, Nevada, 8.1 mi from the entrance to Death Valley National Park, this motel offers an outdoor pool, a hot tub and a furnished terrace with BBQ facilities and shaded seating. 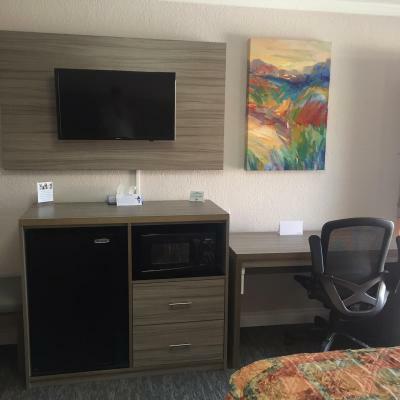 Featuring modern furnishings, all of the nonsmoking guest rooms include free WiFi. 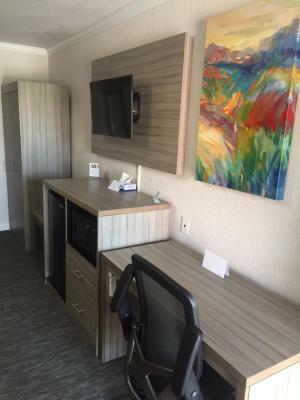 All of the air-conditioned rooms at Death Valley Inn & RV Park are equipped with a flat-screen TV, a refrigerator, a microwave and a coffee machine. Each room includes a private bathroom with granite counter-tops. 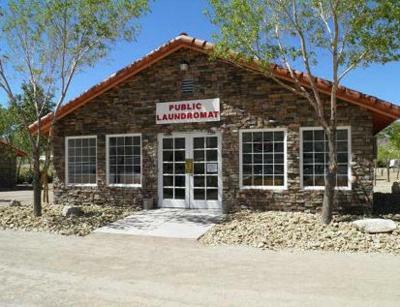 Laundry facilities are provided at the property. This motel also offers a number of pet friendly rooms. This motel is 43 mi away from Death Valley Scotty's Castle. Goldwell Open Air Museum is 5 minutes’ drive away from Death Valley Inn & RV Park. This property is also rated for the best value in Beatty! Guests are getting more for their money when compared to other properties in this city. When would you like to stay at Death Valley Inn & RV Park? Featuring a pool and a rose garden view, this room with attached bathroom is equipped with a fridge and microwave. Featuring a rose garden view, this room is equipped with a flat-screen TV, a refrigerator, a microwave and a coffee machine. 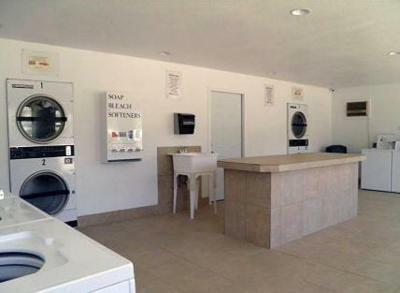 Our motel offers over 60 clean comfortable rooms, a beautiful pool, Jacuzzi and barbecue area, and a laundry room right on site. We are also in easy walking distance from Mel's Diner, Gemma's Cafe, Exchange Club Motel, and Beatty Museum. House Rules Death Valley Inn & RV Park takes special requests – add in the next step! Death Valley Inn &amp; RV Park accepts these cards and reserves the right to temporarily hold an amount prior to arrival. Death Valley Inn & RV Park accepts these cards and reserves the right to temporarily hold an amount prior to arrival. Please note that the reception is closed from 22:00 hours until 06:00 hours. Please note: Any required deposit or pre-payment will be charged at the time of booking. Room needs some soundproofing, sounds outside is louder than what we expected. We can hear birds and people passing by our room. Our room was spacious, quiet and clean. Breakfast was not included with our stay but across the road was Mel's Diner which was perfect. The breakfasts were great! A very typical American Diner. Spacious, clean rooms. Great staff. Two problems knocked down a bit - one of the three lights in the sink area was out, but there was adequate lighting with the remaining two. The other concerned the TV - the picture resolution was set wrong, so that we were not able to view the entire area. The edges were cut off. Both issues were passed along to the management. No breakfast but there’s a diner across the street. Denny’s about 1/2 mile away but needed to walk through smoky casino to get to it. Breakfast would be nice to have! Place vas recently refurbished and it seems restaurant area is not finished so maybe it is coming soon. Hotel has recently been refurbished. Rooms are very nice, very clean. Beds comfortable. Pool and hot tub open til 10pm a plus.